Sales goals should be based on current leads, not on sales history. Typically, sales goals are backward-looking, expressed as some percentage increase over the previous year. They generally start at the top with a total-company sales goal and ultimately filter down to the individual salesperson. This is a reactive way of looking at things. To set goals more proactively, center them around load inputs instead. This way, when you track the actual new inputs you receive (opportunities and quotes) against the goals you’ve set, you can create your own leading indicator for future business. Read more about load input goals in this blog. 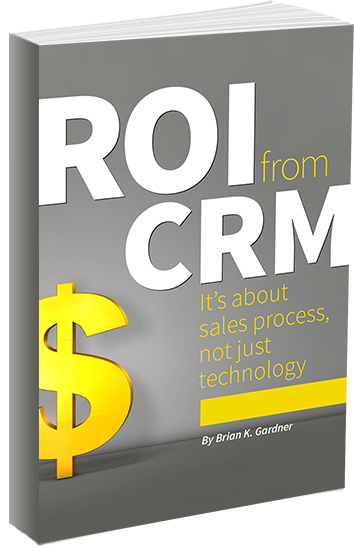 CRM tweaks should come from the bottom up, not the top down. If you fail to get feedback from your sales team after implementing a new CRM system, you’re bound to have low levels of buy-in and, as a result, poor quality data. Instead, ask for feedback on the system during regular training sessions with your sales team, and use that feedback to improve your system. Learn more about gaining buy-in from your team here. Management involvement should go way beyond just requesting reports. If sales managers fail to champion the value CRM can bring to the company on a daily basis, they only help to perpetuate the idea that CRM is more of a “big brother” than a tool that can benefit the entire team. When managers invest effort in a CRM system from its funding all the way through to its implementation and beyond, the rest of the team will be more likely to do the same. Read this blog for 3 Ways Culture Can Make – or Break – a CRM Implementation.